Insul-Fab offers 680 Series foams, PVC/NBR based materials for gaskets and seals which meet the stringent flammability and smoke testing requirements of the aerospace market. There are color options available for applications where the material may be visible or exposed. These products are available in various forms, all of which are available with low minimum orders. 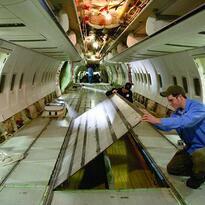 Contact us to request pricing or additional information regarding the 680 Series Aerospace Foam. Floor Panel mounting and isolation. The most common product, 680-1468, is a black, closed-cell, vinyl/nitrile blend foam. 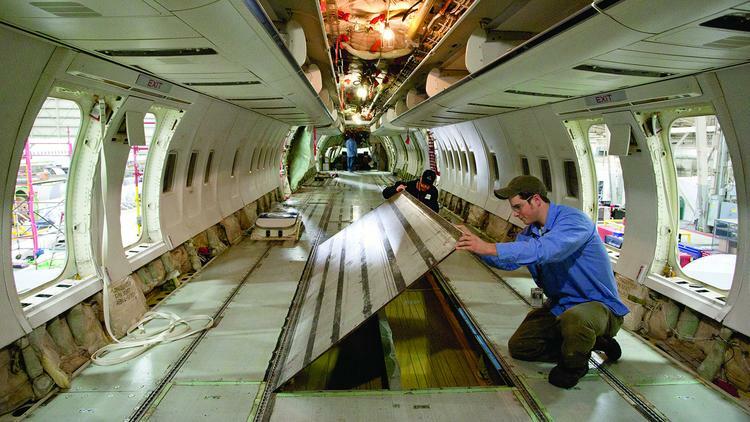 In foam tape form, with adhesive on one side, the product is certified for use per Boeing Material Specification BMS 8-283 Type I, including FAA Vertical Burn test FAR 25.853a. It is available in thicknesses ranging from .0625” to .500”, and roll widths from .375” to 50”. 680-1468 not only meets the challenging flame and smoke rating of the radiant panel test per FAR 25.856a, it also carries a higher UL 94 Flame Rating (UL 94V-0) than most foam products, making it an ideal choice for non-aircraft applications as well. The foam has very good compression set resistance and temperature rating for a wide variety of applications. 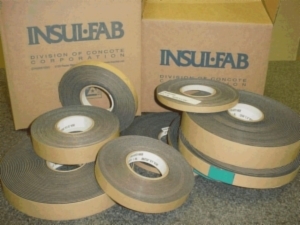 Most commonly available in rolls of tape, Insul-Fab can provide 680-1468 in sheet form, or fabricated parts as well. We use die cutting and water jet cutting for rapid fabrication of custom shapes. 680-1474 is a gray, closed-cell, vinyl/nitrile blend foam with adhesive on side. The product is certified for use per Boeing Material Specification BMS 8-283 Type II, including FAA Vertical Burn test FAR 25.853a. It is available in 48” x 68” sheets; thicknesses range from .063” to .500”, or as fabricated parts. Reference obsolete Rubatex R326V. 680-1474 is a beige, closed-cell, vinyl/nitrile blend foam with adhesive on side. The product is certified for use per Boeing Material Specification BMS 8-283 Type III, including FAA Vertical Burn test FAR 25.853a. It is available in 42” x 54” sheets; thicknesses range from .063” to .500”, or as fabricated parts. Reference obsolete Rubatex R310V. Certifications to the BMS 8-283 specification are supplied with each order free of charge. Lot specific burn test results are available for a small processing fee. For all 680 Series products, shelf life is 18 months from the date of manufacture, which is the date that the foam is laminated with adhesive; there will be some loss of shelf life when orders are shipped.